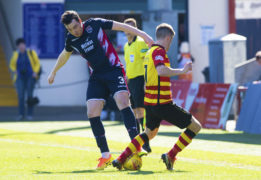 Don Cowie knows just how huge three points would be for title-chasing Ross County tonight but is wary of resurgent Falkirk. Ross County frontman Billy Mckay has been named the Scottish Championship player of the month for February. Ross County striker Brian Graham could be forgiven for rubbing his eyes in disbelief when he looks at the Championship league table. 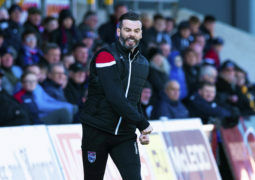 Ross County midfielder Don Cowie and defender Liam Fontaine will take their first steps into coaching after being appointed as the new management team of the club’s under-18 side. 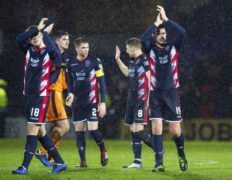 Both Caley Thistle and Ross County have been hit with notices of complaint from the Scottish FA after their highly-charged Scottish Cup replay. Former Aberdeen, Caley Thistle and Ross County midfielder Greg Tansey has lifted the lid on the injury hell that threatened to end his career. Jamie Lindsay wants to make his dream a reality as he targets the first silverware of his career. Iain Vigurs has stepped up his comeback for Ross County after rejoining his team-mates for training. Ross County leading scorer Billy Mckay will not play again this season after his worst fears of a broken arm were confirmed. Billy Mckay's hat-trick secured a vital 3-2 victory for Ross County over Ayr United, which keeps them five points clear at the top of the Championship.